If your first instinct today upon reading William Barr’s “summary” of the Mueller report is that it had to have been a misleading bunch of crap, and that the actual Mueller report must tell a very different story, it turns out you’re in good company. Speaker of the House Nancy Pelosi just said the same thing. 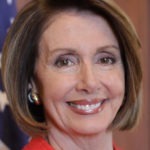 This means that Nancy Pelosi and the Democrats in Congress are going to aggressively use the full powers available to them in order to get their hands on what’s really in Robert Mueller’s report. For months, dating back to their midterm election victory, House Democrats have been publicly talking about subpoenaing Mueller so he can publicly testify about what’s in his report. There is no reason to expect Mueller wouldn’t cooperate, and there would be no legal avenue for Trump or the DOJ to stop it from happening. You can read Pelosi’s entire statement here.